Today we are proud to announce the official release of the new AcademyOcean feature — Course Folders. Let’s dive into details and look at some of the ways you can use it. You should already know about our Course Group feature which allows you to create a series of consecutive courses for your learners to go through. It lets you control the flow of learner education. Course Folders is, in a way, a similar feature as it also allows the grouping of courses. The main difference here is that courses within a folder can be accessed in any order. A learner is not restricted to a certain sequence of courses. How can you use Course Folders? If you cover multiple topics within your Academy, you can create folders for every specific topic and fill them with respective courses. This will help learners navigate your Academy easier and find exactly what they are looking for. Group courses by difficulty level. This is a similar use as with the Course Group feature — to have courses for beginners and advanced users separated for convenience. The difference is that courses in a folder will not be restricted to any specific learning order. 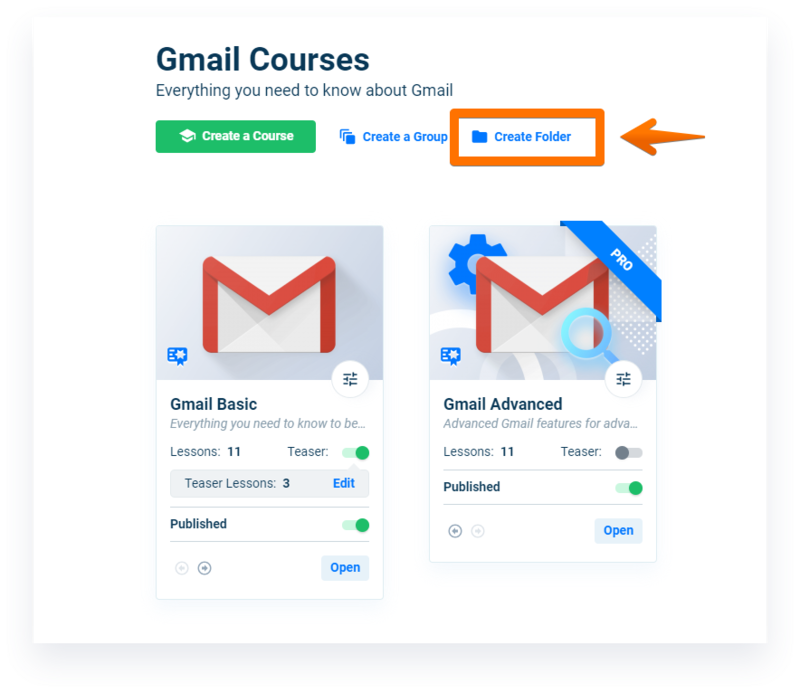 With folders, you can create a collection of courses (they can even be on different topics) and share a link to this folder, not the whole Academy. This is a very convenient feature when you have multiple courses and want to share a very specific set of knowledge from your Academy. You can use folders to organize your Academy content from editor’s point of view. For example, you can have an Archive folder where you store all the courses that became obsolete or irrelevant for whatever reason. You can also have an Unpublished folder where you store the courses that are still being created. 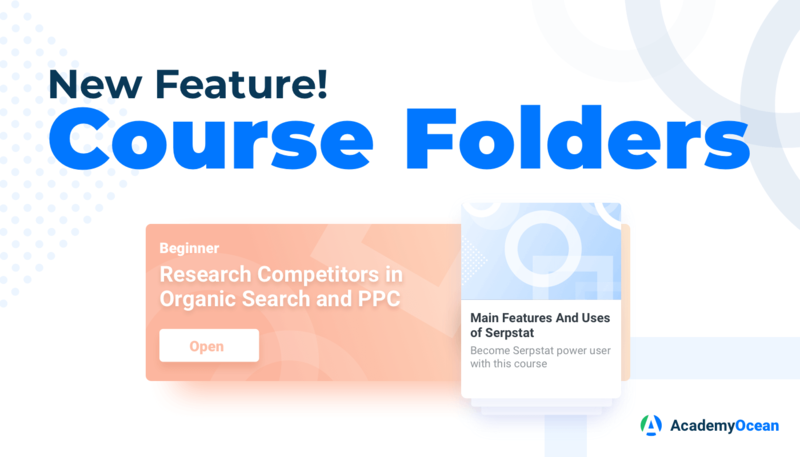 You can go even further with this and create such a folder for every course editor on your team (if you have more than one). A folder will remain unseen by your learners until it has at least one published course inside. You can create your Course Folders from the Courses tab in your Academy admin panel. Friends read each other's emails. Share your email with us and we'll be in touch with you once or twice a month.